If you were involved in a car accident in which the other driver admitted fault, you may assume that you have your case in the bag. After all, what better evidence is there than the other driver’s word? According to Florida courts, apparently, the at-fault driver’s testimony is not enough to obtain a guilty verdict. Just this past January, a Florida jury heard a case in which the at-fault driver admitted to causing the accident. However, instead of returning a guilty verdict, it shocked the courtroom by declaring that the defendant could not be held liable for the plaintiff’s injuries because there was not enough evidence establishing that the damages were a result of the accident, proving that defendant testimony is not everything. According to the case reports, the plaintiff was injured when the defendant performed a left turn in front of the plaintiff’s car and caused a collision. Prior to the wreck, the plaintiff had complained of neck and back injuries, but filed a lawsuit for damages for neck and back injuries two years after the accident. The defendant agreed that she may have been liable for “some injury,” but found issue with the extent of the damages claimed by the defendant. In the two years between the accident and filing the claim, the defendant had been visiting local physicians to try and obtain a definitive statement of causation. Unfortunately for her, none of her physicians could definitively say that the injuries resulted from the accident, although one physician did mention that the injuries were consistent with this type of wreck. The jury deliberated the evidence but ultimately decided that the defendant was not liable for the victim’s injuries. The plaintiff filed a motion for a new trial but was denied. She appealed the court’s decision, but the appellate court upheld the trial court’s verdict. The appellate court’s reason for upholding the lower court’s verdict was simple: though fault was established, causation was not. 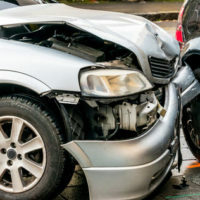 If you were involved in a car accident and hope to win a settlement for your damages, you need to work with a skilled Tampa car accident attorney who can ensure that you have all the essential elements of a successful claim, which include duty, breach of duty, damages or injuries, and causation—which essential means proving that the defendant’s actions were responsible for the plaintiff’s injuries. Without the essential elements, you risk wasting your time and money on a case that ultimately leads to nothing. 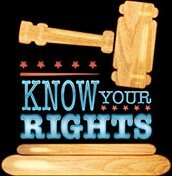 The lawyers at Barbas, Nuñez, Sanders, Butler & Hovsepian understand what elements are necessary to obtain a successful outcome or verdict and will not accept a case unless we can establish that it has those elements. If you were injured in a car accident and want to know what your case is worth, call our law firm today for a free case evaluation.